First off, congratulations to the Rebels on a nice run. After a March 2nd loss at lowly Mississippi State and near-certain NIT fate, Ole Miss ran off 6 straight wins including the SEC Championship and an upset of Wisconsin in the NCAA Tournament. But the finish in the Round-of-32 game against La Salle in Kansas City showed way they've just barely missed the cut so many times. 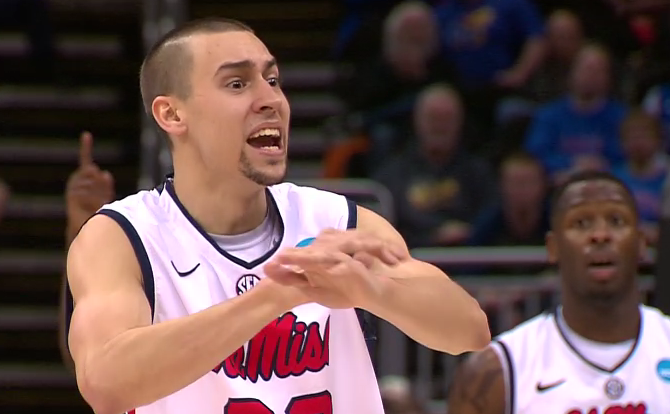 In a tie game in the final minute, Marshall Henderson drove to the basket with the shot clock running down. He failed to draw iron, but got his own rebound and appeared to be fouled as he put it back up. There was no call and the sequence resulted in a shot-clock violation. 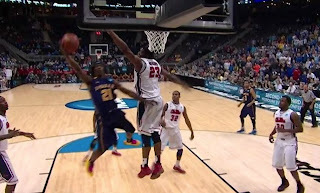 Not only did it deny Henderson, an 89% foul shooter, a chance to give the Rebs the upper hand. But it also gave La Salle the ball with 31 seconds left - a chance to take the final shot. Andy Kennedy subbed Henderson out of the game to have his best defensive team on the floor, but failed to think one step ahead. And that may have cost Ole Miss their shot at the Sweet 16. The Explorers ran a simple handoff and caught the Ole Miss guards on a switch. Tyrone Garland blew by Jarvis Summers, drove right down the lane, and went around Reginald Buckner - one of the nation's best shot blockers. The layup was a thing of beauty and the Southwest Philly Floater became part of NCAA Tournament lore. But there were 2.5 seconds left and Ole Miss had a timeout. 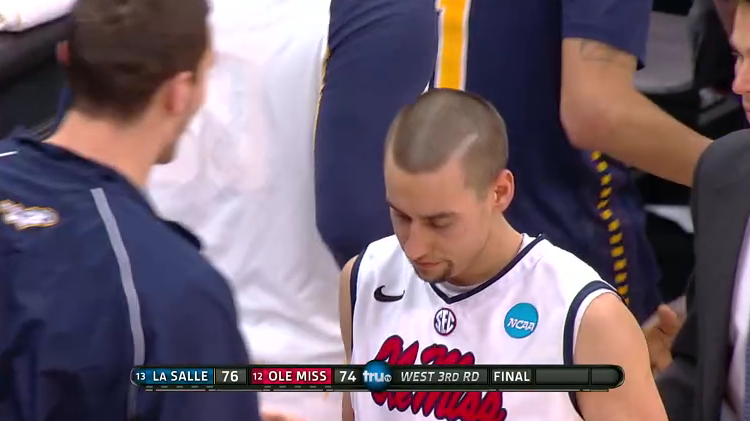 They had to use it if only to get Marshall Henderson back in the game. He could easily make a 40-footer either on a set play or off the dribble. Yet they frantically inbounded and wound up with a half-court prayer. Whether the blame lies with Kennedy or the players isn't the point. It's that Ole Miss was ill-prepared for a crucial end-of-game situation, and fell to to tougher team that seized their opportunity. And it can't be understated. The history of programs and universities are changed in these moments. It will be back to the drawing board in Oxford.